Some topics have been debated for centuries untold by really smart people. Like, really smart people. And now, a question of the ages will be argued once again in Splatfest form: which came first…the chicken or the egg? Yes, please think this over. Do you think chicken is a given? Or do you believe your side is eggcellent? 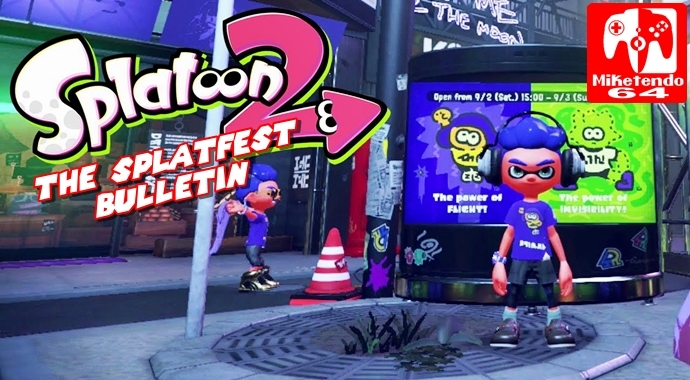 The debate will finally be settled in a Splatfest taking place from 3/9 (Fri) 8:00 p.m. PT – 3/10 (Sat) 8:00 p.m. PT Also, please note that the results of this Splatfest will be combined with the results from players in Europe too! Please check the game on Sunday morning for the final tally. After all, we wouldn’t want to count our chickens before they hatch.